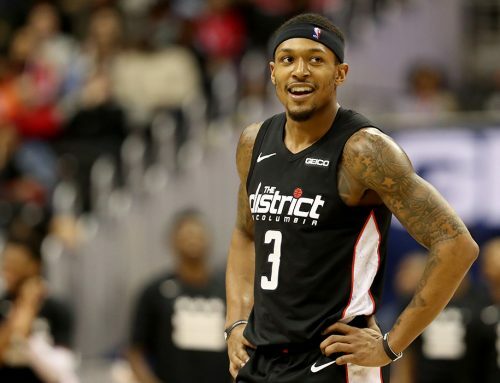 Bradley Beal continues performing at an All-Star level and doing everything he can to will the Washington Wizards back into playoff contention. The sixth-year pro posted his second career triple-double Sunday, scoring 43 points on 17-for-36 shooting (6-for-12 3PT) while adding 15 assists and 10 rebounds against the Toronto Raptors. Unfortunately, the Raptors held off Washington’s furious fight to nab a key 140-138 victory in Double OT. Brad’s outstanding performance came just two days after dropping 32 points, seven assists and five rebounds in a victory over the Milwaukee Bucks on Friday. 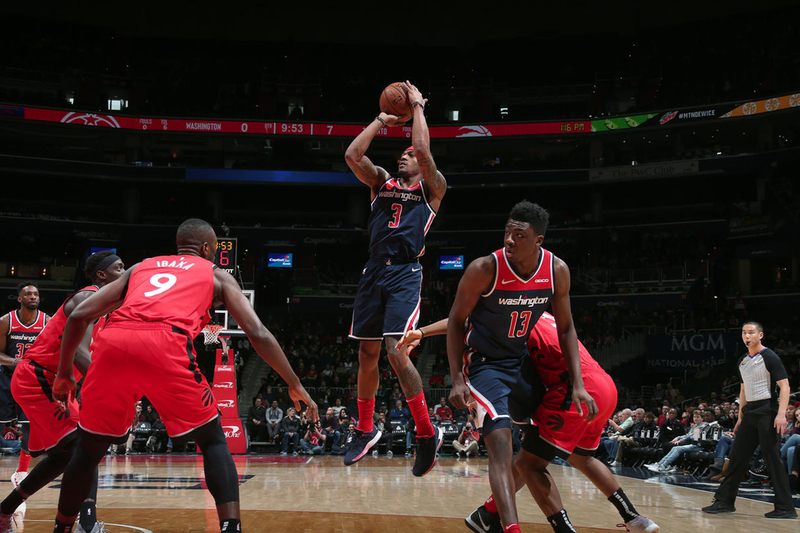 The game against Toronto marked Beal’s second triple-double within the last month after going five plus seasons in the league without one, showing the all-around growth in No. 3’s game. His first came three weeks ago against the Phoenix Suns, when the Panda posted 40 points, 11 boards and 15 assists in a 149-146 triple-overtime victory. 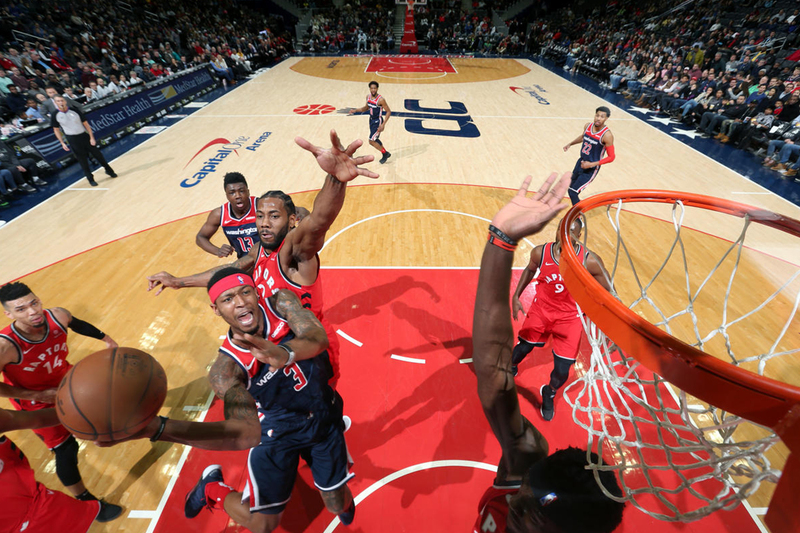 Although Toronto defeated Washington in double overtime, Brad did everything he could to help the Wizards overcome a 23-point deficit in the second half, including nailing the game-tying three late in the fourth to send it into overtime. Washington trailed by 14 points when Brad took over and willed the game to an extra session. The Panda hit a running layup with 10:27 remaining, making the score 102-to-88. From that point until the 4:30 minute mark, he either scored or assisted each Wizards bucket. During this remarkable run, he scored 14 points on 6-for-6 shooting (2-for-2 3PT) along with five assists. More importantly, Washington cut a 14-point lead down to four. Beal then hit a 26-foot step back three-point jumper with 2 minutes remaining to pull the Wizards within two before nailing a game-tying three off of a long offensive rebound with 21.5 seconds left. He finished with 21 points in the fourth quarter on 8-for-9 shooting (4-for-4 3PT) and his efforts sent the game to overtime tied at 124. In the first overtime, Beal once again came up big, hitting a tough contested layup over Kyle Lowry who went up strong defensively. His basket knotted the game at 131 and sent the game to a second overtime period after Lowry missed a potential game-winning three. In the second overtime, Beal secured his second career triple-double after collecting a pair of defensive rebounds. With just over one minute to go, he twice found Thomas Bryant inside for baskets that gave the Wizards the lead, including one with 31.8 seconds remaining. Washington led 138-to-136 but Serge Ibaka nailed what would be the game-winning three with 15.2 remaining. Otto Porter Jr. went on to miss an attempt from long distance that could have won the game. 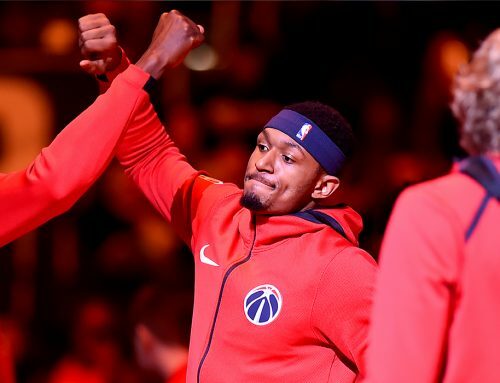 Bradley Beal joins Oscar Robertson (1961-62) as the only players in NBA history with multiple 40-10-15 games in a season. No. 3 has taken his game to another level since Washington announced fellow All-Star teammate John Wall would be out for the remainder of the season due to injury. In nine games without Wall, Beal is averaging 30.2 points, 6.4 assists and 5.4 rebounds. The team has been able to win more than they’ve lost as well going 5-and-4 in that span. 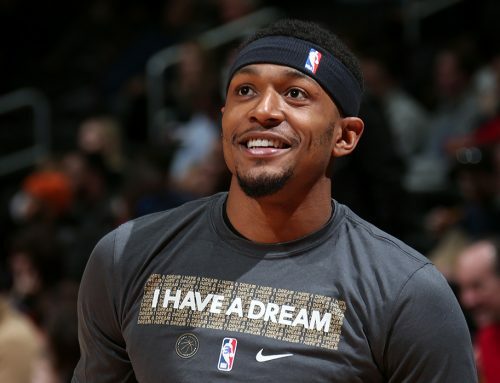 The NBA recently released their second returns of the 2019 All-Star game voting, and Beal sits 10th among Eastern Conference guards even though he only trails Charlotte’s Kemba Walker in points-per-game among all guards in the East. BB also ranks highly in field goal percentage (.473), 4th among East guards. His numbers compare favorably to Walker and Boston’s Kyrie Irving, who sit 3rd and 1st in voting respectively. Next up for Washington is a trip overseas to the UK where they’ll play the New York Knicks on Thursday in the NBA’s annual London Game for 2019. This year marks the ninth regular-season game played in London, but the first time the Wizards will take part in the event. Tip-off is scheduled for 12 pm ET and the game can be seen nationally on NBA TV.